Music Education Specialists-Since 1947 Baum’s Music has been the premier band and orchestra store in New Mexico. We are proud to offer all major brands of band instruments including Jupiter, Bach, Yamaha, Blessing, Conn just to name a few. If you do not see it on our website please contact us for a quote. We are proud to be the premier location for lessons in the Albuquerque area hosting 18 teachers and approximately 400 students per week. Our repair department is the finest in the area and our technicians are graduates of the best tech schools in the country. The Candyman has a long and exciting history dating back to 1969. 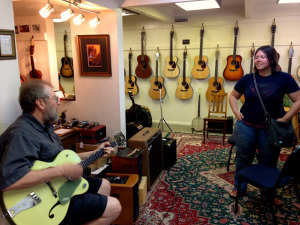 From the humble beginnings of a small acoustic guitar shop – to a large home theater, electronics, recorded music and musical instrument store – and back to its roots as a musical instruments store (with a few additions including a music education center, repairs and rentals), The Candyman continues to offer an exceptional experience to the Santa Fe community. We could have never imagined that The Candyman would be named the best dealer in the music products industry. Today, we owe a huge thanks to our community for joining us on this awesome journey and we hope that you’ll continue to be a part of our story. Albuquerque’s source for the largest network of instrument, sound, and lighting sales and service. We carry many new and ‘lightly’ used instruments. So called “low mileage” instruments, in near mint condition, are our specialty. Vinyl | Records | LP’s, CD’s, DVD’s, Cassettes, Turntables, Home Electronics, Used Instruments, Musician Supplies. Local Art, T-Shirts, Jewelry and more! The store is 36 years young. Opened up by Peirce “Pops” Hubbard in 1979 to sell awesome gear to the people of Las Cruces and Southwest. Over the years we have moved and until recently our biggest store yet, located at 108 Wyatt Drive. Open to everyone to come in and enjoy gear and get questions answered. Family owned and operated, with the ultimate goal of providing the south west with music and education. At the age of 14, Lorenzo Pimentel began apprenticing at his brothers’ guitar-making shop in Mexico. His passion for the craft helped him advance quickly, and soon after he was building guitars on his own. At the age of 23, he came to the United States where he began making guitars in a violin store. In 1951, he moved to Carlsbad, NM where he opened his own shop. It wasn’t long before he’d mastered creating exquisite classical guitars. Four of his sons each embraced his legacy, and four decades later, the family name is known around the world as the best guitar makers alive. They’re the only ones who make each instrument completely by hand, tailored specifically to each customer. The Pimentel brothers can’t imagine doing anything else. Their expertise, perfectionism and love of the art have made guitar making their calling. 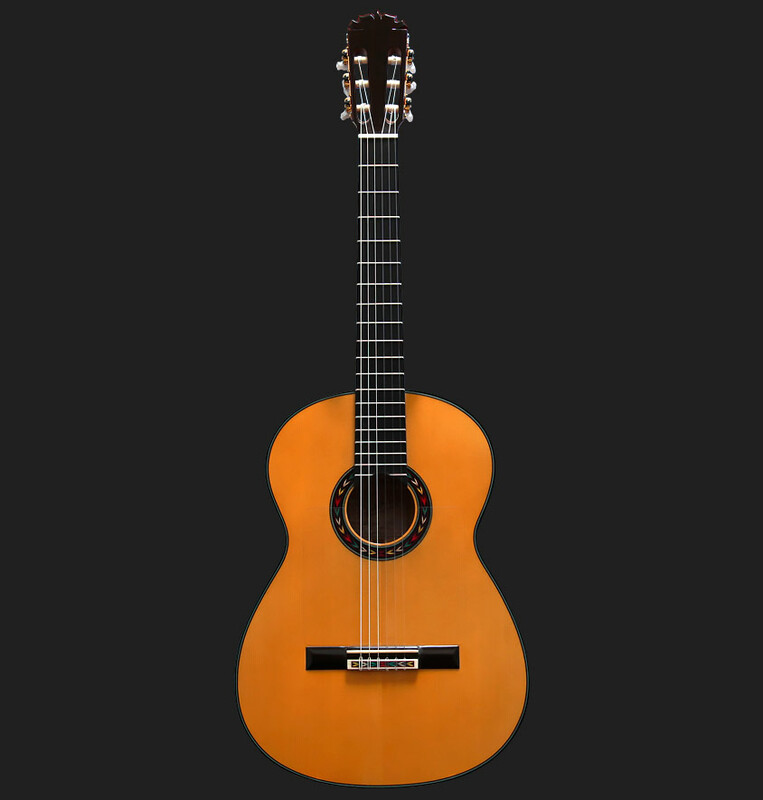 They are Rick Pimentel, now President of Pimentel Guitars, specializing in Acoustic guitars; Robert Pimentel, Vice President, specializing in Concert Classical guitars; Victor Pimentel and Agustin Pimentel. They have each inherited their father’s incredible talent and raised it to a whole new level, creating guitars unparalleled in craftsmanship and beauty. RoadRunner Music Co. located in Bernalillo, NM and offers new and used instruments and accessories, whether you’re in a school band, a group, or solo we have something for you! Join our Lonely Hearts Musicians Meet -where musicians looking for others to play with meet and hang out, or if you just need an accessory. We might not make the best coffee, but we always have a free cup for you! We also offer lessons for many instruments! Nothing is better than being able to share music with the world. It’s something that we take rather seriously at RoadRunner Music Co., yet we do it while always having a great time! Zack Lance wanted to get back to what’s most important, getting an instrument or needed accessory, when you need it, for a fair price. We want to play a bigger role in the music community than just a place where people come out of necessity. Drop by and check it out! Were new but adding new inventory all the time and if we don’t have it, we will do our best to get it for you! Master Luthiers Custom Hand-made violins. We are one of the world’s leading experts and largest dealers of rare and contemporary instruments and bows of the violin family. At Robertson & Sons, we work diligently to ensure that your search for the ideal instrument or bow will be a positive, satisfying experience.